If anda could travel back in time, which period would anda want to visit first? How many Faires have anda attended? If anda could travel to a Medieval-ish fantasi world, which would it be? What is your favorit part of the Festival? If anda are looking for good Renaissance costumes to go to a festival then anda should check out Zoogster Costumes. For the guys who don't like to dress up their are many cool costumes so anda won't be unhappy. a comment was made to the poll: If anda could travel back in time, which period would anda want to visit first? a comment was made to the poll: How many Faires have anda attended? a link telah ditambahkan: What is Mud Festival? 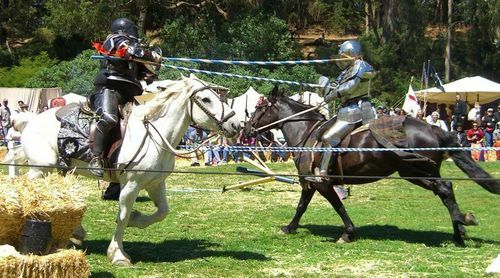 When was the the first recorded jousting tournament?